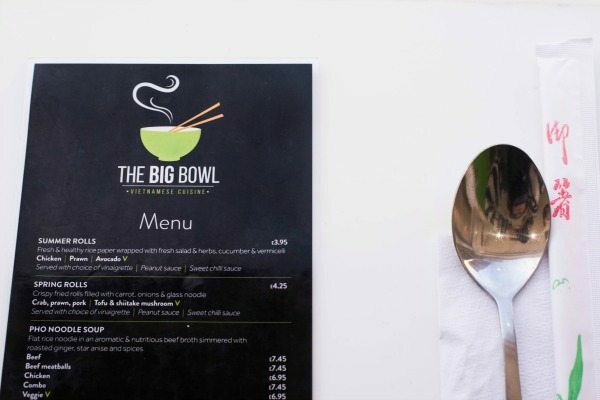 The Big Bowl is a family run Vietnamese restaurant in the centre of Brighton on Preston Street. It’s the perfect place to meet for lunch or an inexpensive dinner, and at the quality and prices I will definitely be going back! Even though it’s small, they have managed to make it feel light and fresh (much like the food), with tasteful minimal decor and a dash of bright colour. There’s some lovely natural light that comes through the big window at the front of the restaurant, which is where we decided to sit, eat and people watch. 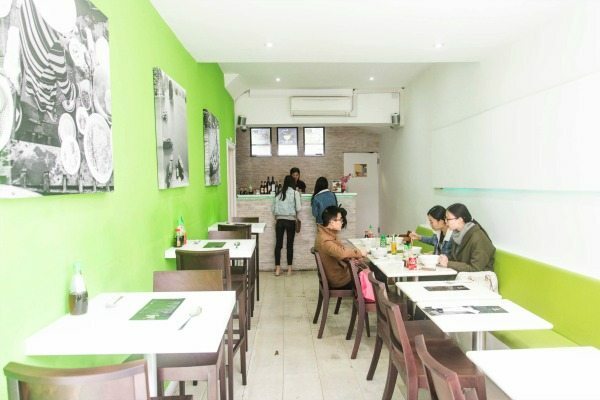 It’s got a casual, laid back vibe with friendly service and quality ingredients that have been cooked well. It was easy to choose what to eat. I wasn’t bombarded with pages of choice, which I think is a good thing because usually you’re eating better quality ingredients cooked from scratch with a smaller menu, and this was proved right at The Big Bowl. I ordered a Veggie Pho Noodle Soup (£6.95), and we shared a side of Tofu & Shiitake Mushroom Spring Rolls (£4.25). You can choose whether you want the spring rolls to come with a vinaigrette, peanut sauce or sweet chilli. I chose the peanut sauce and boy am I glad I did! The sauce really made the spring rolls shine. I was expecting a satay type sauce, but this was more of a light and creamy sauce that had plenty of texture from the peanuts because they hadn’t been completely whizzed, leaving them with a subtle yet satisfying crunch. The spring rolls were filled with carrot, onions and glass noodles along with the tofu and shiitake mushrooms. They were really crispy and not greasy at all. The Veggie Pho was generous in size and flavour. 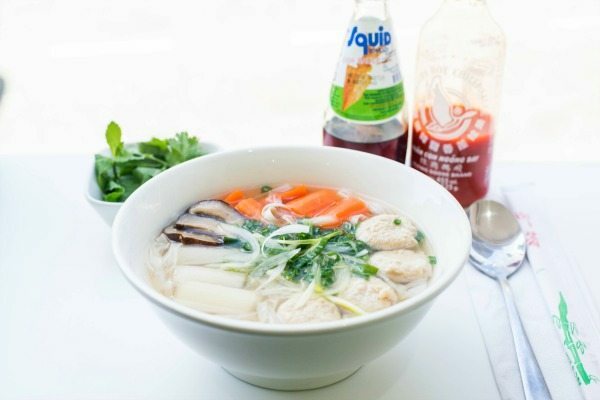 It was made of ‘flat rice noodles in an aromatic & nutritious veggie broth simmered with roasted ginger, star anise and spices’, and was served with the customary fresh herbs that you get with a pho dish. I love this bit, because it adds a creative side to dining, you get to add herbs and flavourings to your taste. I love a little kick to my food so added a generous dash of hot chilli sauce. 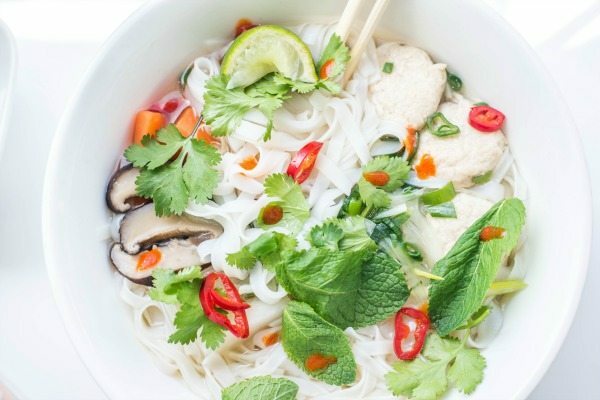 Another point about adding fresh herbs to your pho is that as you’re eating away, the herbs intensify thus creating new flavours to the dish! The dish was presented beautifully in a ‘big bowl’ with the ingredients perfectly arranged on the top. The scrumptious soya dumplings were meaty in taste and texture. Apparently I wasn’t the first to question its lack of animal content but was reassured they are definitely meatless! The Combo Pho Noodle Soup (£7.45) also looked beautiful with its section of meats including chicken, beef and pork. 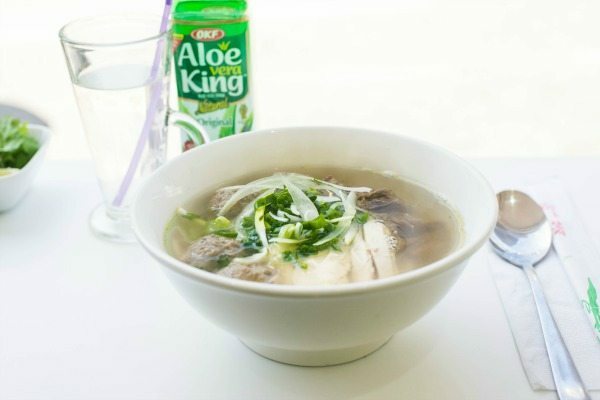 It too was made with flat rice noodles in beef broth, and I was told very tasty too! For hydration, we ordered a Coconut Water (£1.20) and an Aloe Vera (£1.80) to drink. I was quite curious about the Aloe Vera drink, as I’ve never had it before, but I always love the smell of Aloe Vera so thought the taste should live up to its smell, and I was right. 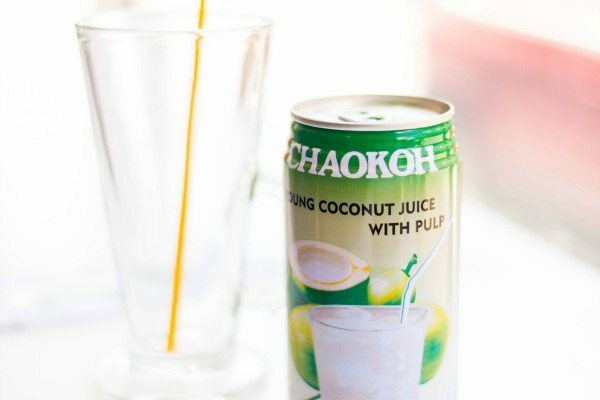 In comparison to Coconut Water, it’s more of a juice drink for it’s sweetness. 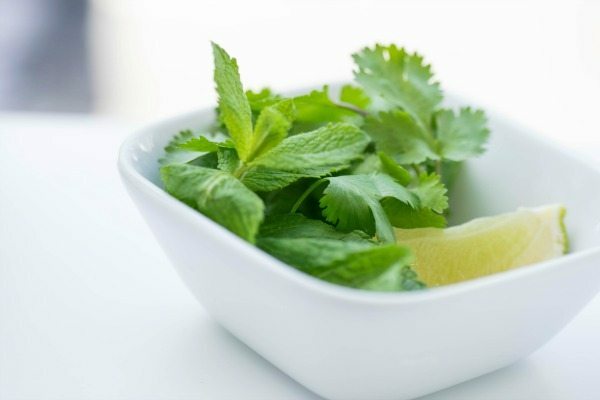 The drink is refreshing, lightly fragrant and apparently has lots of healthy benefits. It also has flickers of aloe jelly pulp floating around, which are like little capsules of flavour that burst in your mouth if you bite into one, not too dissimilar to Pearl Teas which have been popular recently. The Aloe drink was the perfect accompaniment to my food, and finished the meal off nicely by satisfying that sweet tooth I usually get after a savoury dish, leaving me refreshed! The Coconut Water was also delicious, and it too came with the pulp, which really took me back to scooping out the soft creamy flesh of a fresh coconut on the Keralen backwaters in a rickety canoe boat. Next time I would love to try one of their authentic coffees made with condensed milk. I thoroughly enjoyed every mouthful I had at The Big Bowl, each bite being so different from each other, and I’ve been totally inspired to attempt (again) pho at home. At £6.95 though, I might just pop back to The Big Bowl instead!